The Department for Social Development are currently consulting on proposed Changes to the Law Regulating the Sale and Supply of Alcohol in Northern Ireland. Consultation documentation can be accessed at this link. Deadline for comments is 12 November 2012. Whilst some of the proposals seem wise and will help to clarify the law to deal with recent developments such as a new bitter with 44.7% alcohol content many of the plans put forward for consultation could be seen as unnecessarily draconian. We must be careful not to adopt a prohibition mind-set when considering Alcohol Licensing. 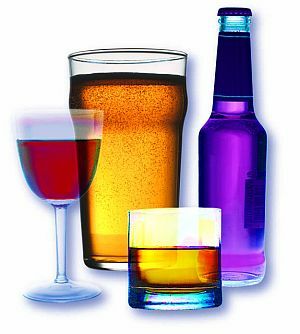 The general desire to safeguard society from the ill effects of alcohol must not dissolve the right to enjoy alcohol responsibly. In these difficult economic times we need to be focused upon supporting businesses and safeguarding society without adopting a ‘nanny state’. Full justification is therefore required before applying any more red tape and rules which could limit ability of businesses to trade and result in significant extra running costs. Whilst the opportunity to comment on the proposals is welcome it is felt by some that consultation fatigue is occurring in relation to Alcohol Licensing with many proposals previously tabled and only some of the issues taken to legislative stage. A full comprehensive review is required rather than the piecemeal approach adopted to date. As a Local Councillor I am well aware of the issues associated with the fact that Entertainment and Alcohol Licences are often not aligned due to the different ways each is awarded. I therefore welcome proposals to align the process associated with both Licences but am concerned that no proposals are being made to allow staggered closing in a structured and deliberate manner. By allowing Pubs and Clubs to close on a staggered basis e.g. 11pm, midnight, 1am, 2am and in some instances 3am this could help reduce levels of crime and anti-social behaviour encountered by enabling customers to return home in a smoother and quicker manner rather than everyone trying to get home at once. An enhanced customer experience is also possible as a result of possible reduction in time customers have to wait for transport e.g. shorter taxi queues. In terms of the specific proposals, I cannot see any justification whatsoever for further restrictions on mixed trading of alcohol within supermarkets and shops nor additional structural separation. Northern Ireland already has very tight regulations concerning such compared to Great Britain and doesn’t need further rules which bring us back to the old set-up of separate off licences adjoining many shops and supermarkets. Proposal that no other goods should be processed through the ‘alcohol checkout’ are without merit and rather than encouraging responsible consumption of alcohol are likely to cause customers to bulk purchase in greater quantities due the unnecessary inconvenience caused. Proposal would also add extra costs to retailers as a result of the structural changes required concerning till layout. Proposal to mirror Scottish restrictions on advertising by supermarkets and off sales seem wise whereas proposals to introduce more robust regulations in relation to deliveries of alcohol need to accommodate practicalities of Home Shopping whilst clearly prohibiting “Dial a Drink” service provided by a very small number of disreputable taxi drivers. Proposals to prevent removal of alcohol (carry outs) from pubs after normal opening hours also welcomed for same rationale – i.e. small minority of establishments permitting such activity which needs to be clearly outlawed.